Often Russian Christmas and Russian New Years is combined into a long winter celebration. January 7 through January 19 mark the dates for Russian Christmastide, also called Svyatki. 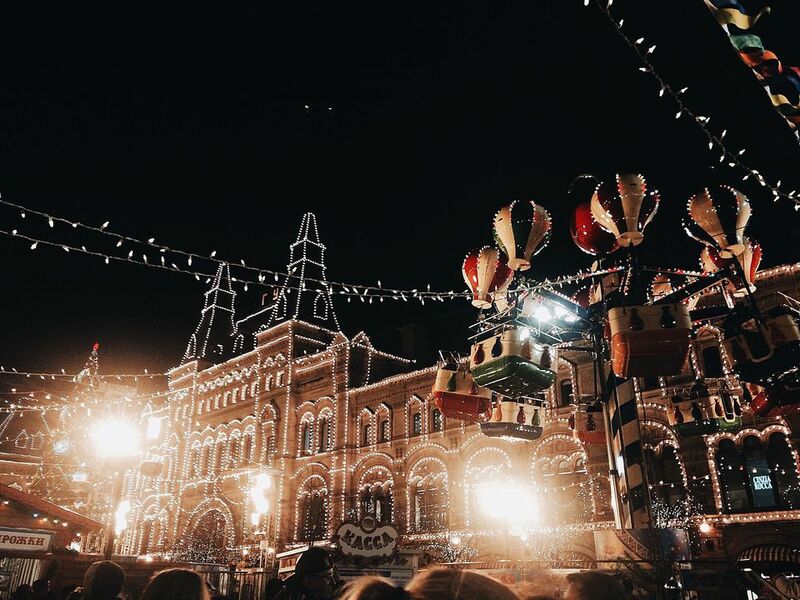 Celebrating the New Year is more of an important holiday in Russia than Christmas. In February 1918, Russia changed from the Julian calendar and began to recognize the Gregorian calendar that was (and still is) followed by the West. They assigned two New Year celebrations (January 1 and January 14). January 14 is known as the "Old New Year" since it was the date of New Year's in the Julian calendar. Many people often choose to celebrate both. If you have Russian heritage or even adopted a child from Russia, use these seven ideas on how to share a bit of a Russian Christmas or a Russian New Year. These family-filled traditions are fun for everyone. Russian folktales are full of well-known characters. Some of these include the Russian Santa Clause, known as both Ded Moroz or Father Frost. His granddaughter is Snegurochka, the Snow Maiden. Together, the grandfather and granddaughter deliver gifts to good children around Russia. Ded Moroz lives in Veliky Ustyug in an estate where Russian children can write him letters outlining their requests. Like Santa, he too does parades and visits large Russian cities. Ded Moroz and Sengurochka make their journey on December 31 to place presents under the New Year's Tree. In Russia, it's more common for families to have and decorate a New Year's Tree (called a Novogodnaya Yolka). It is often left up to celebrate both New Year’s holidays. Krendel is the "preferred Christmas bread" in Russia. Try your hand at baking the Russian sweet treat and sharing it with neighbors or friends. This sweet yeast bread is often formed in a pretzel shape and filled with dried fruits. It can be left plain, iced with icing, or covered in powdered sugar. Since the Russian Christmas is celebrated during the bitterly, cold Russian winter, the lighting of fires seems appropriate and is an old Slavic tradition. Find a place to have your own bonfire with your children and sing carols together. If you don't know of any place to legally hold a bonfire, then light a fire in the fireplace in honor of this tradition. Fortune telling is an old Christmastide tradition. It is still practiced today for fun and is another way to bring a bit of Russian tradition into your family. Or, consider putting a spin on this activity. One idea is to have each child make a list of three to five questions about their futures that can be answered with a simple yes or no. The questions can be serious or silly, like "Will I be rich one day?" or "Will I sunbathe on the moon before I'm 40?" Then pass around a Magic Eight Ball for the answers. Remind the children that it's all for fun! Caroling is also a common way of celebrating Russian Christmastide. This activity is also common in most Christmas celebrations so would be an easy addition! January 14th marks the "Old New Year" in Russia. The holiday is much quieter than the common firework display on December 31st. Spend this evening with your children and consider retelling their birth or ​adoption story and sharing Russian folktales. If Santa traditionally visited your home on Christmas Eve, why not have your children get another gift from Ded Moroz and Sengurochka on New Year's Eve? Just like Santa, these two can leave some gifts to cap off a holiday season.